Two mysteries in one?!?! Count me in! When I heard about Magpie Murders I was curious how the ending would turn out in this Agatha Christie-esque story since there was so much hype. Editor Susan Ryeland receives a copy of her popular author Alan Conway’s newest mystery novel in its series. It is, naturally, her job to edit said novel and while reading the novel it abruptly ends before the mystery is solved. She has been trying to contact Alan but has no luck when she is told that he has killed himself. Susan is shaken by this revelation but even more upsetting is how much her employer needed this new book to be published and might now go out of business without it. When Susan goes to Alan’s house to find the missing chapters, she starts to realize that his death mirrors the death in his own novel. This, along with other details she uncovers, causes Susan to doubt Alan’s cause of death and make her believe that he was murdered. Magpie Murders is 447 pages long and took me 5 days to read. 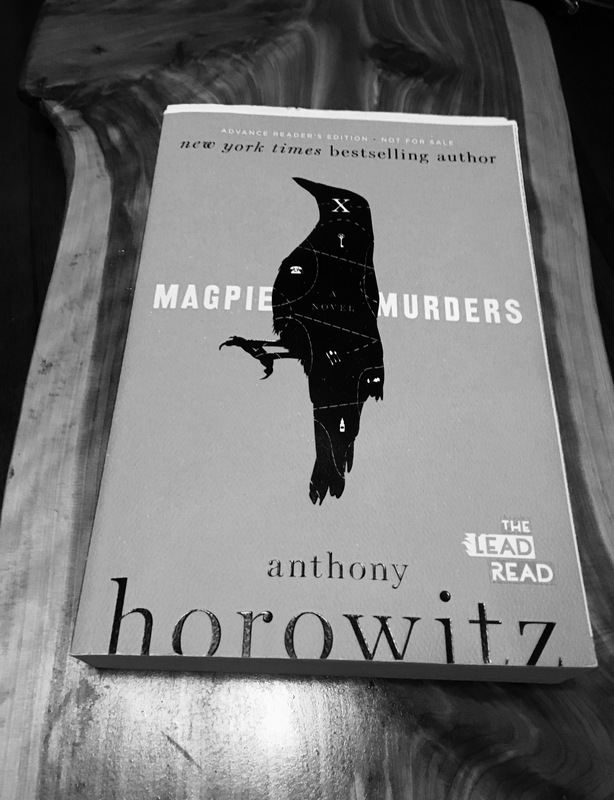 I have always loved a good mystery and Anthony Horowitz delivers. I give Magpie Murders 3.5 out of 5 for combing two separate mysteries into one great story! Thank you to Harper for sending me this copy!